Available for your audience are dynamic presentations based on replicated research integrated in real farm experiences from over 34 years of Extension work. These seminars have been given at a wide range of venues such as Cornell Nutrition Conference; World Dairy Expo, Pennsylvania Forage Conference, Canadian Certified Crop Advisors Conference, Manitoba Forage Conference and to numerous groups of farmers and sales representatives from Indiana to Maine. All aspects of the soil/crop/dairy system are available for presentations. 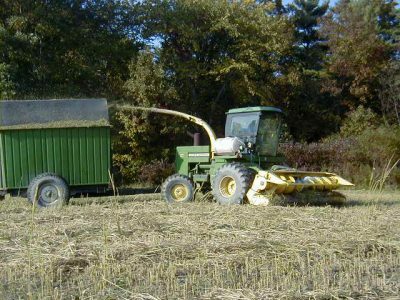 Winter Forage: for quality dairy forage; high yielding straw production; organic grain production; part of comprehensive double crop opportunity for well drained and less than ideally drained Northern soils. Brown Mid-Rib Sorghum Species Research: BMR short season Sorghum, BMR Sorghum Sudan grass, or BMR Sudangrass for double crop rotations; as alternative to corn silage, as energy crops for organic farms. Whole Farm Approach to Dairy in the Northeast: a systematic look at management of soils, crop choices, storage, and feeding of dairy cows; how to optimize each part of the system for your farm, your soils, and your resources. Growing Dairy Nutrition: comprehensive look at the steps critical to high production and profit through high forage diets. Castor as Premier Oil Producer: The latest research on producing bio oil in the northeast. Best management practices for high yields.